Learn more about rent to own cars. 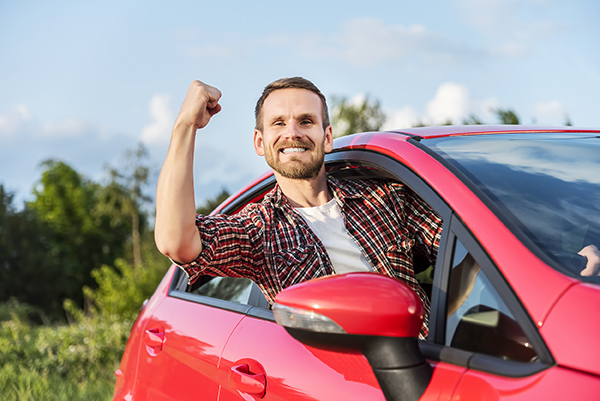 Going to a car dealership can be an incredibly intimidating experience; even more so if you know that your credit score has suffered a few blows. Unfortunately, transportation is not just a luxury; it’s a necessity. How are you supposed to have a job and save up for a car if you don’t have reliable transportation to get there? You really need to buy a car, but your credit score isn’t exactly the kind of score that gets lenders excited. It can all make you feel like having a car just isn’t possible for you. If you feel like you’re out of options, you should consider rent to own cars. You’ve probably heard the term before but are not really sure what it entails. Look no further – Cars R Us is here to explain it to you! What Are Rent to Own Cars? Rent to own cars are a great option for people who need a car but won’t get approved for an auto loan. You rent a car from a dealership (such as Cars R Us) and make payments for a set amount of time (between 12 months and 36 months) as if you’re leasing. The difference between leasing and rent to own cars is that at the end of the rent-to-own contract, you will own the car. It’s very similar to the experience of buying a car. It’s your car to drive and take home, and it only gets taken away if you default on payments. The only difference is, your less-than-perfect credit history won’t discriminate you from eligibility to drive off in a car. You go to a car dealership to see about buying a car. You’re getting excited. You see affordable cars and are starting to feel like it’s possible. You start filling out the paperwork, only to find out that your credit score is 540 and you won’t get approved. You’re frustrated. You’ve been completely at the mercy of others to get to work or school or even the grocery store. Sure, your mom or a friend will occasionally let you borrow their car, but that won’t always be an option. You feel like you’re out of options, but then a friend tells you about Cars R Us and their rent to own cars. You go to Cars R Us to check it out and fall in love with a car there. The only difference is, this time you don’t get rejected. They don’t even check your credit score. The people at Cars R Us are friendly and helpful and work out a plan with you so that you can drive home in a car today! They work out a rent-to-own plan with you and the payments are actually affordable! The cost of the car is $10,000. You have $1,500 that you had saved for a down payment. The car dealership works with you to come up with payments that are divided between your rental fee and your payment toward buying the car. As long as you stay up-to-date on your payments, you’ll own the car within three years. Rent to own cars are more a viable option for you if you are in serious need of a car and don’t have time to save up more than a minimum down payment and don’t have the credit to get approved for a loan. Cars R Us thinks that you deserve the chance to have a car that you love, regardless of your credit score, and rent to own cars are the vehicle to get you there! Come and see us at Cars R Us in Strafford, even if you’ve been discouraged at car dealerships in the past. We’ve got plenty of rent to own cars and we are ready to pair you with one that you love.